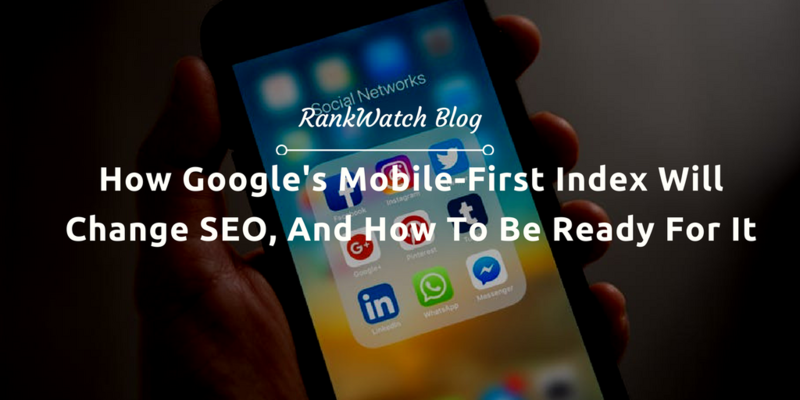 Before the announcement of Google’s mobile-first index strategy, there have been constant changes in Google’s search algorithm – including Google’s announcement of being in favor of mobile-friendly website over non-mobile friendly websites. So, the implementation of Google’s mobile-first index has become a crucial factor in the success of your marketing campaigns. This move puts mobile devices at the most important position in terms of principles and standards of indexing and search rankings. It makes search engine optimization – SEO more interesting nowadays, because marketers would rather be looking for various ways to adapt to the latest search engine trends with mobile indexing at the forefront. 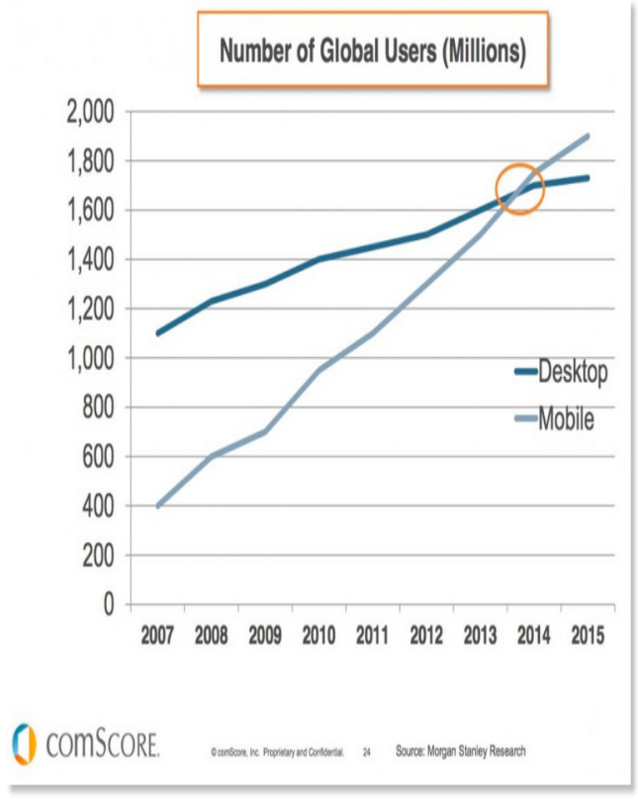 And with mobile internet users surpassing desktop users for the first time, according to ComScore, you need to ensure that your website is mobile responsive. Thus, with more people using mobile devices, it is logical why Google is implementing mobile-first indexing and making it their primary indexing website henceforth. But before we go any further, let us identify what Google’s mobile-first index is all about. What is mobile-first index and, how does it work? Google’s mobile-first index is a search engine algorithm strategy that will change the way Google index web content. To index web content, Google simply collects data on web pages in a catalog called index. After collecting these data, Google then uses it to display search results for different search queries. For instance, let’s say you’re searching for an article and type, “how to optimize a blog post for the mobile-first index,” in the search box, Google will simply scan the pages it has saved in its index to identify the best results for your search query. The mobile-first indexing strategy has already been implemented to some users, but before the rollout, Google looks at the desktop version of web pages and use it as a basis for ranking mobile versions. In order words, desktop version was the primary web page that Google would index, now that’s the opposite. Mobile version has become the primary indexing website for Google index. How does mobile-first index change SEO? According to Doantam Phan, Google’s Product Manager, the mobile-first index will have no significant effect on SEO, but he also pointed out that a functional desktop-oriented site can be better than a broken or incomplete mobile version of the site. However, Google further made clear that searches performed on the desktop may not show all your search results on a mobile device because mobile users will automatically see search results of the mobile version of your website. This simply means that users will be seeing less data on their mobile devices when they perform a search query. Meaning that search queries performed on mobile devices will no longer appear on the desktop, much as desktop versions will not appear on mobile devices. This separate indexing strategy will definitely put a lot of marketers in a difficult situation in terms of deciding which version to optimize.They will have to choose whether to optimize for both desktop or mobile or to go for the mobile version and leverage long-tail keywords and keyword phrases. This being the case because most search queries are performed on mobile devices using long-tail or question keywords.Long-tail keywords and keyword-phrases can be extremely effective because they are less competitive. Marketers who already have high search rankings will certainly want to maintain their position, as a result, they will have to make a decision based on the amount of traffic they’re getting from desktop and mobile as well. As mentioned earlier, SEO is not dead and, although mobile-first indexing has become the primary version for Google index, SEO is here to stay and, still plays an important role in search rankings. However, the frequent changes in Google’s search algorithm have presented marketers with new challenges, as a result, smart marketers are leveraging the trend as an opportunity to improve their SEO rankings. The challenge now is not whether you’re an SEO expert, rather, it is about being able to identify latest trends in SEO and adapt accordingly. Why does separate indexing for desktop and mobile matter to Google? Google’s updates to its algorithm have not ended, there will be many more frequent updates along the way. Remember that Google has made many updates in the past in favor of mobile which indicates Google’s love for mobile. Hence, the mobile-first index should not come as a surprise because research shows that an average of 56% traffic comes from mobile devices. Because the majority of internet users are now using mobile internet, Google is looking for different ways to enhance user experience (UX). For instance, research shows that because of the increased growth of mobile users, voice search queries have dramatically multiplied 35x since 2008 and now accounts for 20% of all searches – mobile and desktop. More is that brands and businesses can reap amazing benefits from this recent move by Google, in the sense that people are always with their mobile devices, both at home and on the move, searching for items and making purchases. How can I prepare for mobile indexing? In fact, mobile-first indexing strategy will split desktop version of search results and mobile versions as mentioned earlier, and automatically display the mobile version of search results instead of desktop version. Consequently, there has never been a better time than now to prepare for the changes of the mobile index. Taking advantage of Accelerated mobile pages (AMP) to streamline the type of websites users has to deal with and, to speed up mobile pages loading time because page speed is now a crucial factor in SEO and search rankings. Ensure that your site is mobile-friendly. If you’re not sure about that, use Google’s mobile-friendly test tool to test your site. For example, I just tested my website to be sure it is mobile-friendly. How can I use Google’s mobile-friendly test tool? To use the tool, simply open the software and type in your website URL in the “Enter URL to test” box, and click the “Run test” button as seen in the screenshot. Next, it presents you with your test result. See screenshot below. You may also like: How to optimize your blog post for SEO and increase social media shares. Interestingly, this is good news for those who are struggling to understand SEO based on the frequent changes in search engine algorithm and the implementation of the mobile-first index. You can learn SEO best practices here. Make sure that the functionalities of both desktop and mobile versions are compatible. Guarantee that you have a responsive web design, a website that is setup correctly to be mobile-responsive to all devices, in that it can grow or shrink according to the size of the device screen. Ensure to compare your desktop and mobile version URLs and make necessary changes. Use structured data testing tool by Google to run a test on both versions of your website to find out if the structured data are equivalent. Can Googlebot access your mobile site? Test your site to find out because it is a prominent factor for indexing your website. Mobile-only website: This system is paramount because it is developed and functions primarily on mobile devices. This means that when users are using a mobile device and click on a desktop URL, they will be shown a mobile version of your website instead of the desktop. For more on mobile optimization and prepare for the mobile-first index, read Google’s mobile guide and Google’s how-to guide. Google’s mobile-first indexing strategy is coming with remarkable changes. The question is, are you prepared for the mobile-first index? It is obvious that Google will continue to update its search algorithm and also update users mobile indexing. Thus, in order to be prepared for this change, ensure to test your website in the various areas mentioned in this article, including site speed, responsive website, etc. These steps will definitely get your site optimized and Index. Moss Clement is a freelance blogger and content marketing manager at Writers Per Hour. He is working closely with B2B marketers and individuals like you to grow your business by delivering highly informative content that is tailored to the needs of your buyer persona.